Dialpad, the pure-cloud business communications provider, announced it has raised $50 million in Series D funding. ICONIQ Capital led the round, with participation from existing investors Andreessen Horowitz, Amasia, Scale Venture Partners, Section 32 and Work-Bench, bringing Dialpad’s total funding to $120 million. The new capital will accelerate momentum for Dialpad’s real-time AI technology and further establish its products as business-critical tools for organizations across industries. Will Griffith of ICONIQ Capital will join Dialpad’s Board of Directors. The new funding follows the recent release of VoiceAI, which Dialpad is currently integrating into its entire product portfolio, including Dialpad, Dialpad Call Center and UberConference. 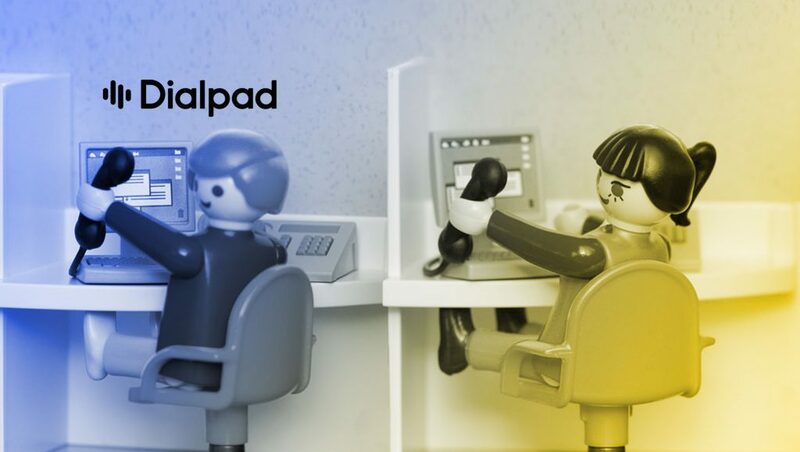 Dialpad will use the new cash injection to strengthen its VoiceAI-powered standalone call center products for sales and support organizations; leverage its real-time automatic speech recognition (ASR) and natural language processing (NLP) technologies to develop real-time coaching and playbooks that enable frontline teams to personalize the customer experience; fortify overall go-to-market strategy. “Smart CIOs know AI isn’t just another trendy tech tool, it’s the future of work,” said Craig Walker, CEO, Dialpad. Today, 92 percent of business and customer interactions happen by phone, yet 85 percent of customers are dissatisfied with their phone experience. Since its founding in 2011, Dialpad’s mission has been to make business communications great. More than 55,000 of the world’s most innovative businesses including WeWork, Uber, Motorola Solutions, Domo, Stripe, and Xero have abandoned their legacy communication systems in favor of Dialpad’s next-generation cloud architecture and easy-to-deploy platform that spans voice, video, messaging and conferencing. Now, by applying VoiceAI to all external and internal communications, Dialpad is enabling businesses to improve their customer interactions, sell more effectively and make smarter calls – automatically and in real-time. “The unified communications, conferencing and call center markets are notoriously crowded and dominated by legacy solutions providers that have been slow to innovate,” said Will Griffith, Partner, ICONIQ Capital. Previous ArticleSpotMe Named a Leader in G2 Crowd Summer 2018 Mobile Event Apps GridNext Article2018 RESCUECOM Computer Repair Report – Why Computers Break: Repair or Replace?